While Sunday is traditionally considered a downday, in Vail it is quite possibly the most lively day of the week. Why is this? 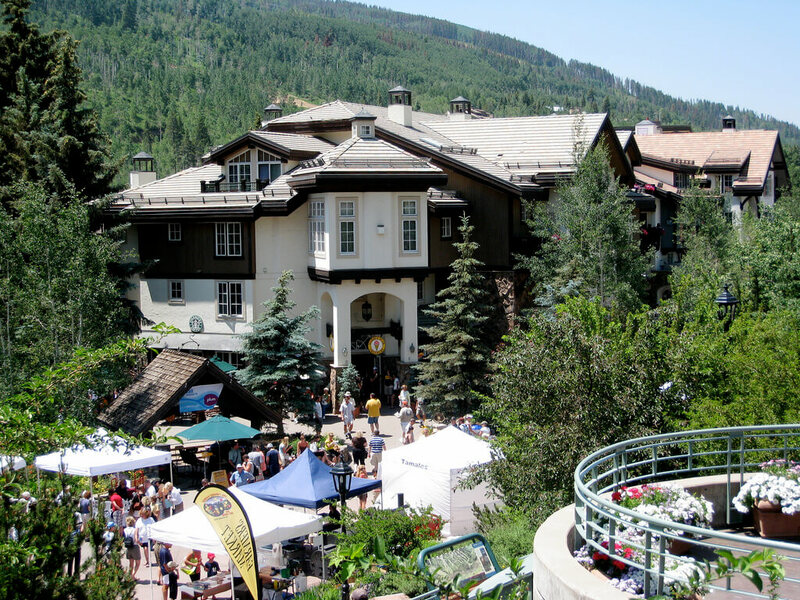 From 10:30 am to 3:30 pm, Vail’s streets come alive with its farmers market, an alpine bazaar with a variety of vendors, farmers, and artists from all over Colorado. The market is not just a great showcase for the Vail Valley but also for the whole Rocky Mountain region, truly offering something for everyone. As the market enters its 17th year on Meadow Drive, one of Vail’s main streets, it now has more than 130 tents during its 16 Sundays throughout the summer. While offering an abundance of traditional produce, such as the giant peaches from Clark Family Orchards, the market has a great variety of vendors selling everything from jewelry to longboards to furniture. There is a strong international presence at the market as well, with vendors from all over the world, including Valbruna Italian Market, Swedish Clog Cabin, and Sushi Oka Hibachi Restaurant. You certainly won’t leave the market hungry, as the market is full of food vendors, such as Crespelle, offering mouth watering crepes straight out of the French Alps; Hooked, “A seafood experience like none other”; or La Tour, which received a rating of “Extraordinary” from Zagat. To satisfy your sweet tooth, be sure to check out Mountain Mallow, a local marshmallow company with unique flavors, or Dragons Ice Cream Rolls, for delicious Thai-style ice cream. For kids, be sure to check out the bouncy house or the mechanical bull, both of which will not disappoint.